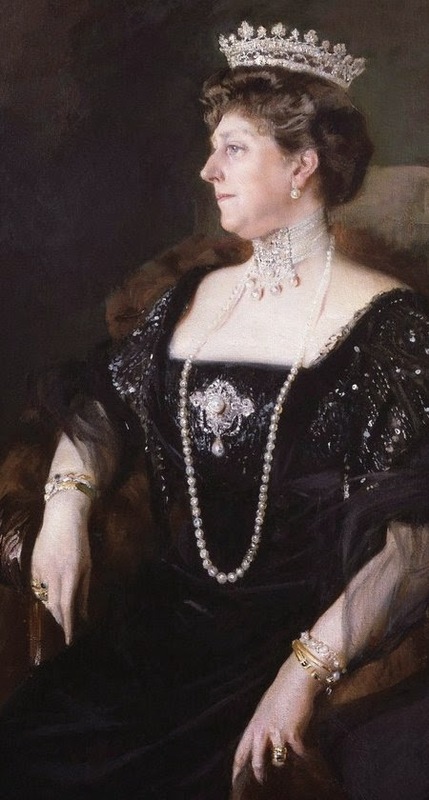 She was the daughter and the mother of queens; can you identify the jewels worn here by Princess Beatrice (1857-1944), the youngest daughter of Queen Victoria and Prince Albert? 1. Cropped version of Joaquin Sorolla y Bastida's Princess Beatrice of Battenberg (1908); source here. Also, see the National Portrait Gallery website for more information on the portrait.